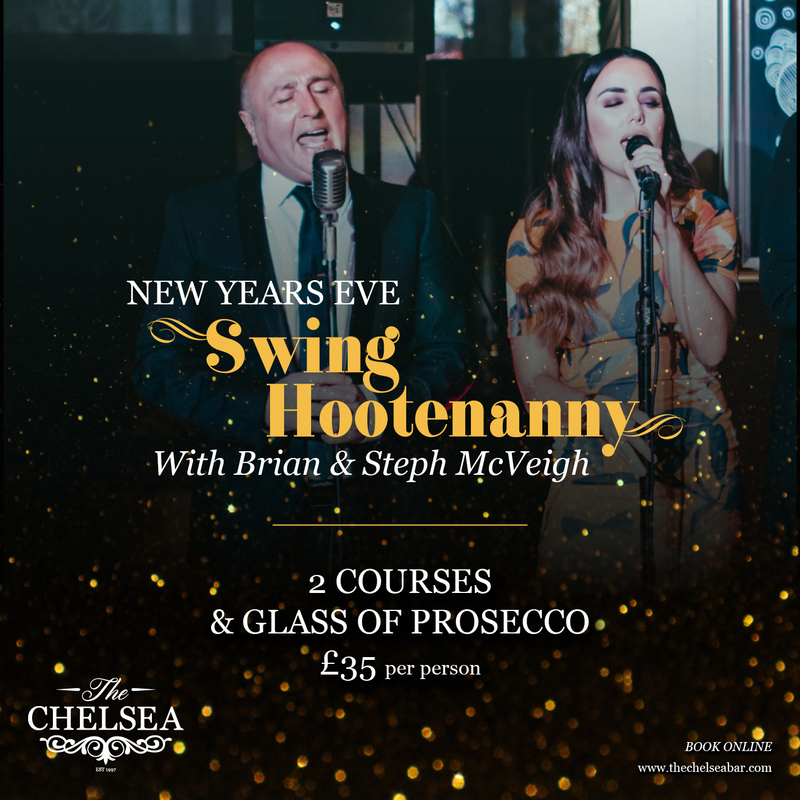 Enjoy 2 delicious courses with a glass of fizz followed by a night of fantastic swing entertainment with Brian and Steph McVeigh and a piper at midnight. The perfect way to welcome in 2019 with friends and family. Tables are available to book between 7pm and 9pm with the live entertainment starting at 9.30pm.